Heffys finds financing back home. American helping American….pursuing a dream, like something out of the movie It’s a Wonderful Life. It takes money to run a business, we’ve all heard it said in one way or another right?! Well it’s true. As Heffys has grown, thanks to fantastic fans who appreciate our premium Kansas City made sauces that are lovingly hand labeled by Special Olympic Athletes, the need for some dough to help finance our growth has come along with it. Enter the problem….banking these days is in an “interesting” spot. But being the optimistic guys we are we thought it wouldn’t be too hard for a good banker to see how sweet of an investment we are. I mean we (the American public) bailed the banks out to help spur business growth right?! It was frustrating to experince first hand a rather large issue keeping our economy from healing, the inability or unwillingness of some banks to help small business. Kind of felt like we were up against Mr. Potter in the movie. You remember that crotchety old guy, only bent on making lots of money for himself. But as it stands we found that America still has heart. Inman Kansas is about 20 minutes from Moundridge, Kansas. Why the geography lesson you ask? Well our Heffys BBQ award winning original recipe was born out there in the Kansas Prairie’s of Inman Kansas. We’re proud of that, although we are made just up the road in Kansas City these days. We make it a point to remember where we came from. Lots of folks in Inman remember the family too. Larry the banker knows Phil, the dad of Jeff, one of our founders. See we are already at 3 degrees of separation and it only gets better. Phil and Larry were talking about the financing needs facing Jeff and Heffys BBQ Co. Larry pipes up and says “I’d love to step in and help, we’ve done business with your family for years. Let’s get them what they need”. And just like that a neighbor helps a neighbor striving for a dream. That’s as American as it gets! 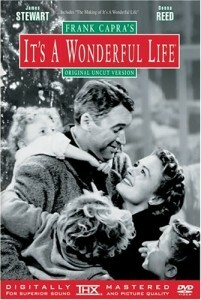 For us it really was something right out of the movie It’s a Wonderful Life (happens to be one of our CEO’s favs). Larry and Phil, thanks for proving to us that the American dream is still alive and well. We’ll travel to Inman anytime you need us, cause that’s what neighbors do for each other. This entry was posted on Friday, September 17th, 2010 at 7:31 am	and is filed under Better with Heffys, Front Page News, Heffys News. You can follow any responses to this entry through the RSS 2.0 feed. You can leave a response, or trackback from your own site.